£10.50. A delicious collection of vegan sweet treats! 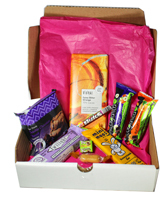 £20.00 for the MEGA box. A larger selection of delicious vegan sweet treats! 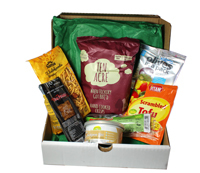 £10.50 for the savoury box. A delicious collection of vegan savoury treats!